One of the best ways to leave a lasting impression on guests is to provide a dining experience at an event they won’t want to forget. We asked our event partner and Dallas caterer, G Texas Catering to create a custom menu for a corporate client that is as eclectic and innovative as our event venue in Dallas. Here is a sneak peek at this special Dallas catering menu offering an array of food perfect for a casual corporate meeting, social event, or party. Passed Hors D’oeuvres are great for a casual reception-style event where a full meal won’t be served or as a pre-dinner nibble that will leave them begging for more! Get your guest’s engines revving with a Chicken Pot Pie Biscuit created with a Soft Buttermilk Biscuit topped with Peas, Carrots, Grilled Chicken and Herb Velouté or the Shrimp N’ Grits Cake served with Lemon Aioli. A Grilled Cheese Tomato Soup Shooter provides a fun twist on the classic soup and sandwich pairing – the perfect combination of comfort and fun! Stationed menus are an excellent way to create an interactive dining experience. Chef-attended and small plated food stations are entertaining, innovative and add extra freshness to plates. 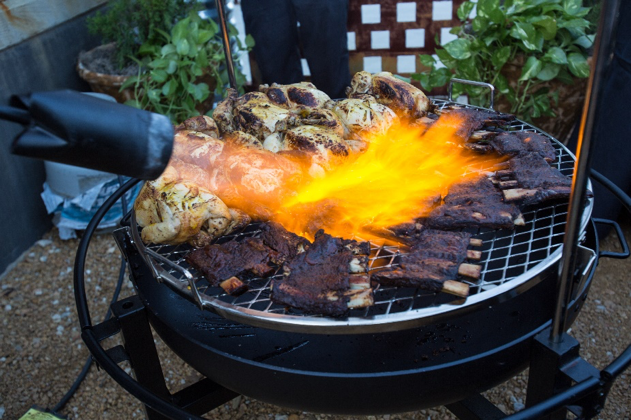 Our carving stations feature G Texas Catering’s chefs carving and serving buffet-style meats to order alongside a handpicked sauce paring like BoneYard Beef Ribs with Dr. Pepper Mop Sauce or Beer Can Chicken with Honey Mustard Sauce. Pair it with seasonal, Grilled vegetables from the veggie griddle and your meal is complete! Guests were invited to feast on the southern favorite, boiled crawfish, at the Mud Bug Boil station. 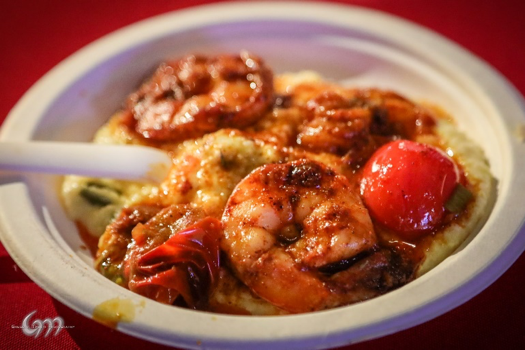 The Crawfish are served in a boat with Jalapeno Cornbread and a variety of Chili Sauce. Whether you love to bring the heat with spicy chili sauces or indulge in the sweet taste of the crawfish and corn there are flavors for every guest. The perfect pairing with the Mud Bug Boil Station is the “Crashed” Potato station. Top your Crushed Red Potatoes with Grilled Onion, Cheddar Cheese Sauce, Sour Cream, Chopped Bacon and Grilled Jalapenos. Like all good things, a delicious meal must come to an end. We topped off the night with boozy treats sure to satisfy any sweet tooth. The Watermelon Cocktail is created with Watermelon Balls in a Rocks Glass with Triple Sec Simple Syrup and Whipped Cream. If you’re a chocolate lover, the Kahlua Mud Pie Cup made with Kahlua Mousse in a chocolate-coated Waffle Cone is the dessert of your dreams! CrashedToys event venue offers one of a kind experiences for your guests. 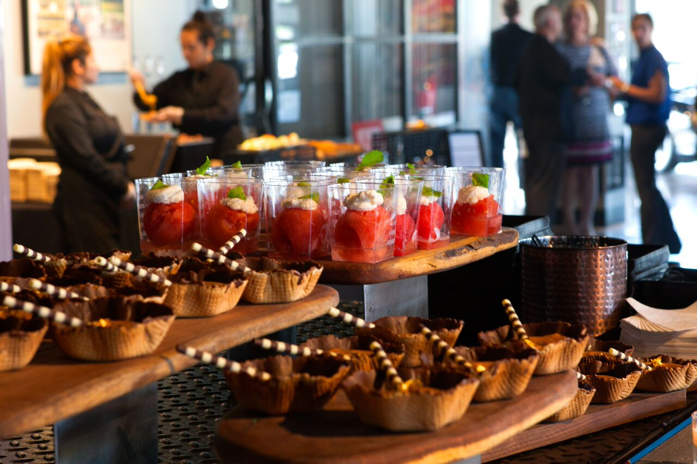 Contact us for more information about how our event planning and catering team can make your next corporate event, meeting, charity gala, celebration or social event a culinary success.